Comprehensive information about Anne Carson including biographical information, facts, literary works, and more. Anne Carson is a Canadian poet, essayist, translator. Carson lived in Montreal for several years and taught at McGill University, the University of Michigan, and at Princeton University from 1980-1987. She was a 1998 Guggenheim Fellow. and in 2000 she was awarded a MacArthur Fellowship. 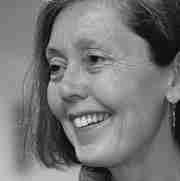 She has also won a Lannan Literary Award.. Canadian poet essayist translator and professor This educational Anne Carson resource has information about the author's life, works, quotations, articles and essays, and more. Articles about Anne Carson or articles that mention Anne Carson. Here are a few random quotes by Anne Carson.